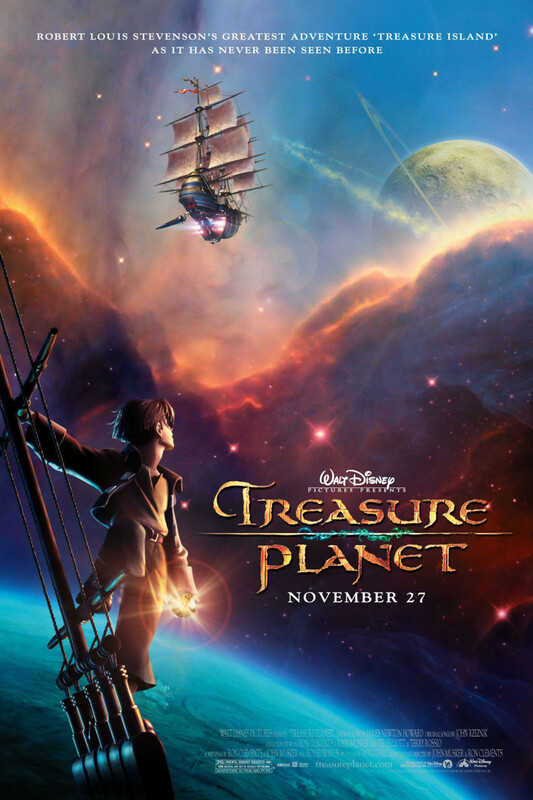 Treasure Planet is the story of a young man who comes across a treasure map that makes all of his childhood fantasy stories come to life. Jim Hawkins works for his mother in her small restaurant, but when a pirate wanders through their doors and collapses, life changes forever. When the men seeking that pirate arrive and burn down the restaurant, Jim and his mother make a daring escape, but have nothing to return to. Jim takes the map the pirate gave him and sets off to find the legendary Treasure Planet so he can rebuild his mother's shop and make a name for himself. Along the way, he encounters a host of odd and quirky characters that range from cut throat pirates to insane robots.